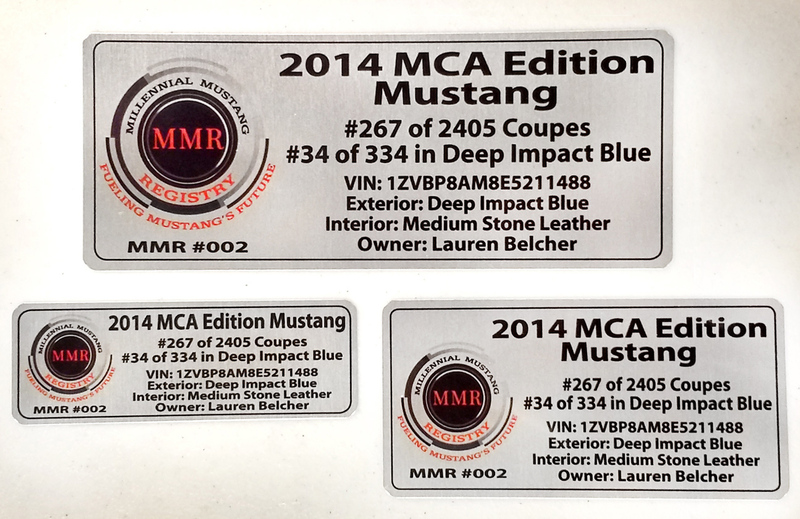 Custom-made brushed aluminum data plates for MMR Members! All plates have adhesive backing for easy installation. Please check your available space before ordering. We can can usually accommodate custom sizes - please email M@T5design.com before ordering. Please fill in all of the boxes carefully so your information will be accurate for your plates. You will have the opportunity to review your data plates for accuracy before they are printed. A digital proof will be provided via email prior to production. SVT Store accepts no responsibility for errors once proof has been approved.